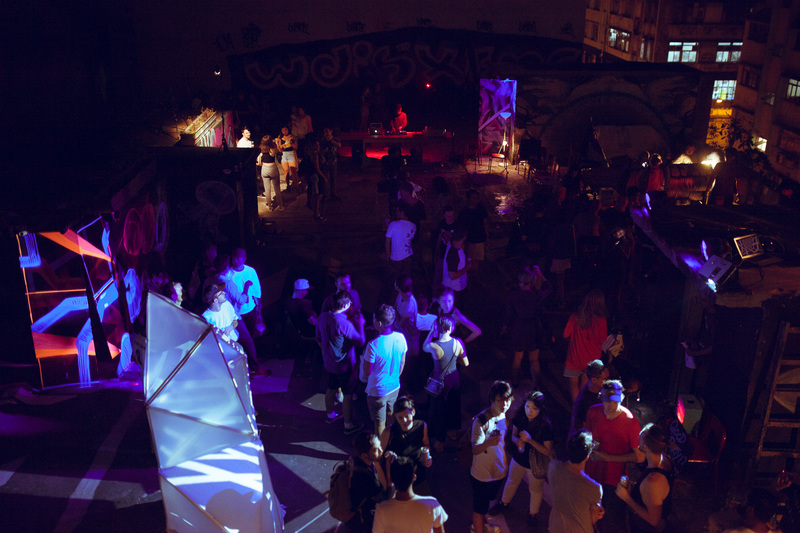 TKTNights is a collaboration of live art and music situated on Hong Kong’s most underground urban rooftop. Our aim was to make a structure that could visitors to interact. 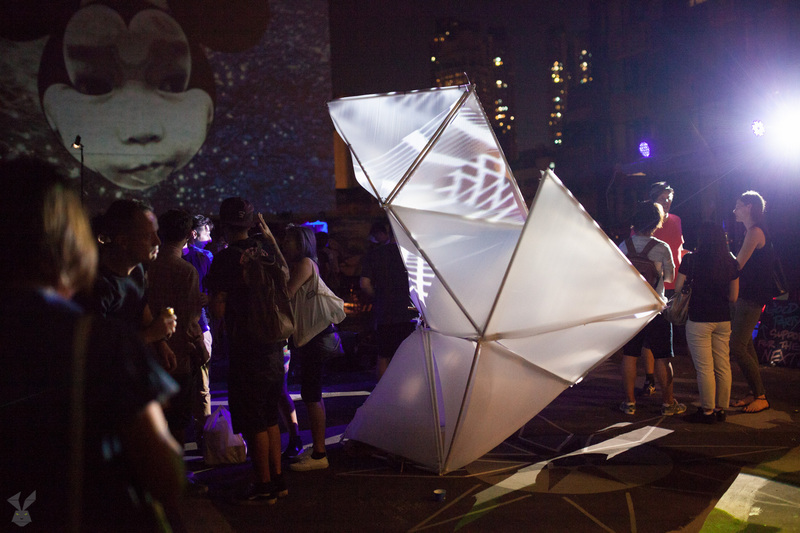 By multiplying a singular triangle of PVC and twin-wall corrugated plastic we created an angular structure that acts as an interactive digital surface. 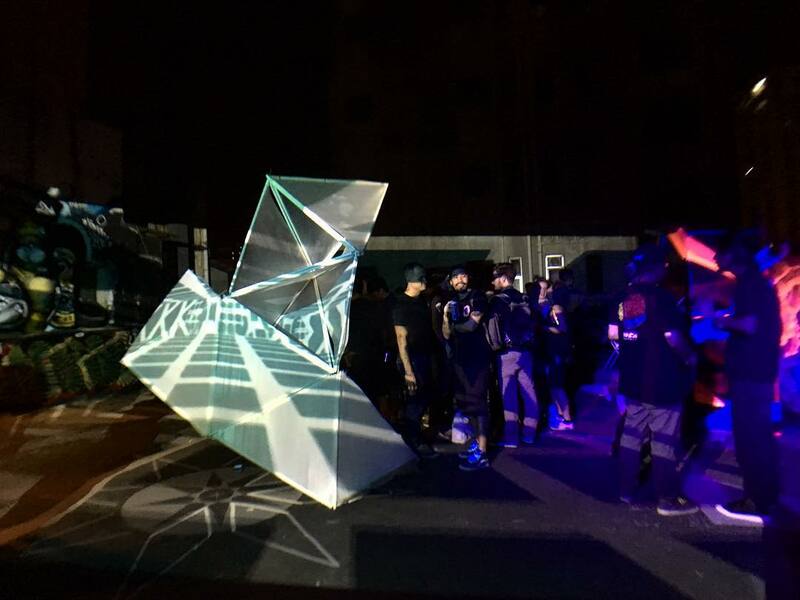 Geometric graphic patterns in 4 colors were projected with a website allowing guest to vote and change the color of the projections from cyan, magenta, green and purple.